Now that FIFA 19 is well underway, EA has released the FIFA 19 OTW Cards. As Special FUT Cards go, they're pretty damn special, as they can upgrade throughout the year. The FIFA 19 OTW cards highlight players who have moved clubs during the most recent transfer window. These are players that are expected to get better this year, making them hugely valuable. In this FIFA 19 OTW Guide, we'll break down exactly what the FIFA 19 OTW Cards are, and what they do. We'll give you the full list of FIFA 19 OTW Player Cards, and give you an idea as to how you can pick them up for yourself. If you’re looking for more on FIFA 19, be sure to head over to our FIFA 19 Guides Hub. It’s got a ton of info on FIFA 19, including essential tips and tricks, FUT 19 Guides, a look at the best young players, and more. 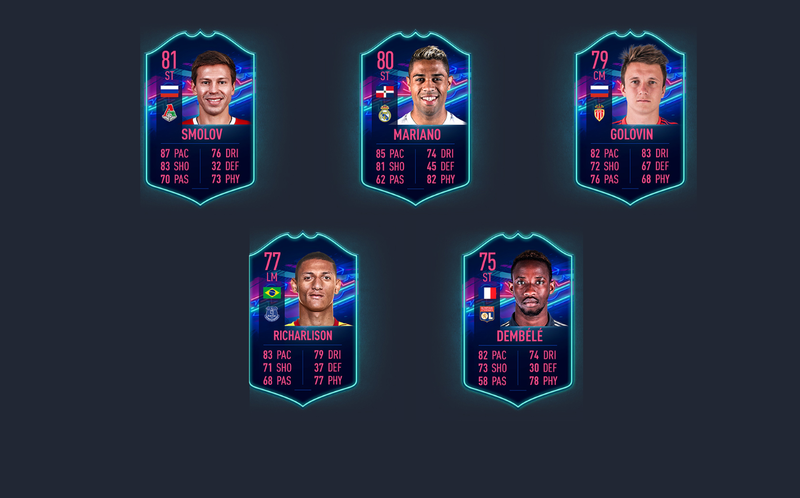 When Can You Get FUT 19 OTW Cards? OTW Cards offer stat-boosted versions of players who have moved around during the transfer window. The stats listed on the Ones to Watch card can change, increasing if other special versions of that player are released. For example, if Cristiano Ronaldo's OTW card has an overall rating of 94, then a TOTW card is released that lists himas having a 95 rating, then the OTW card will automatically update to the higher value. The stats cannot decrease, which is what makes the OTW cards so darned valuable. 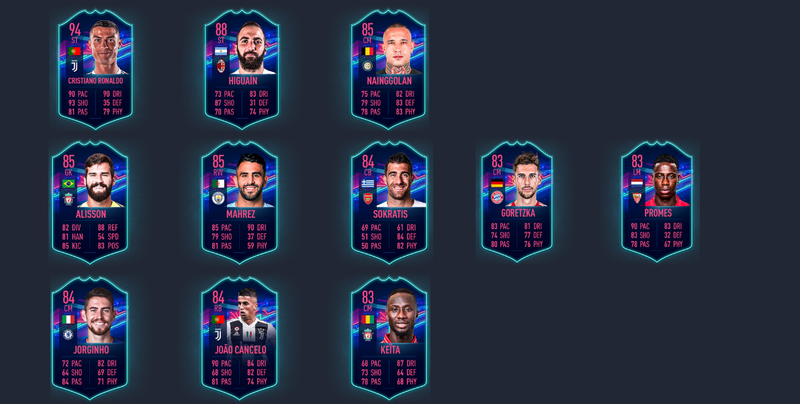 Now that the full line up for FIFA 19 OTW cards has been revealed, we've listed them all below. As usual, there's a starting XI, bench and reserve squad to contend with, let's take a look and see which players made the FUT 19 Ones to Watch team. We've listed all of the FIFA 19 Ones to Watch Players for the Bench Squad below. These have all received significant stat boosts, and will continue to improve as more special player cards are released. Finally, we have the FUT 19 OTW Reserves. We've listed all five below, alongside their updated overall ratings. OTW cards are ever-changing special player cards which offer stat boosted versions of popular players. Around the release of FIFA 19, EA will release a list of OTW players. These are usually players that it expects will increase in rating throughout the year. Sometimes it's players who have changed teams during the transfer window, sometimes players that EA expects will make TOTW throughout the year. The most important thing to consider with OTW cards is that their stats change throughout the year. The stats can only go up, and will do so if that player receives a special card throughout the year, like a TOTW or in-form update. The OTW card will increase to match this new rating. As we’ve mentioned previously, Ones to Watch Cards will increase in rating to match any special cards released for that player. This includes any MOTM, TOTW or in-form cards that are released. The ratings of the OTW cards cannot go down, making them extremely valuable. So now you know all about FIFA 19 Ones to Watch Cards, and want to get hold of some for yourself. 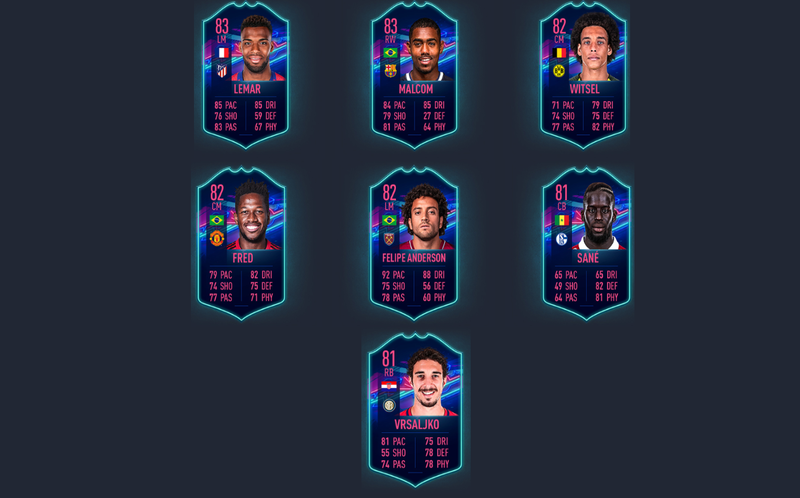 Well, OTW cards are only available during a limited time. During this time, you can get OTW FIFA 19 cards in any player pack that would contain the player that’s receiving an OTW card upgrade. While OTW cards are up for grabs, the standard versions for the players featured in the Ones to Watch squad will be unavailable. Once OTW cards are off the official market, standard versions return. Of course, you can sell OTW cards on the transfer market any time, usually for a huge profit.